Some say there is an art to find customers online. Actually it is more of a science that involves some very effective techniques and strategies. Once you apply the right strategies customers will find you. Understand your target audience – build a profile of your ideal customer that includes geographic information, demographics and most likely web sites that would be visited. This lays the groundwork for everything else. Apply SEO properly – utilize key search terms and phrases throughout your online content. This would include your business web site, social media, blogs, Ebooks and other content. 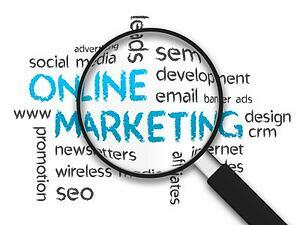 Use multiple online channels – Facebook, Twitter and other social media sites should be used to promote your web site. Also leverage email newsletters to build a loyal subscriber base. Routinely publishing blogs will build your credibility online. Ebooks and white papers will help to inform and educate readers as well as promoting your business as a credible source of information in your industry. The right marketing services partner can help you find customers online by applying these inbound marketing techniques. Look for a provider that will review your current marketing plan and build a strategy that aligns with your business goals. Credible marketing service providers will tailor an online strategy that is best suited for your business, and bring you industry best practices and benchmarks to measure results and compare. Every business situation is unique with different customer service philosophies and specialized sales processes. Look for a premier marketing partner that is willing to understand your needs and help you to achieve your goals. For more information please call us directly or click the button below and we will contact you. Thank you.